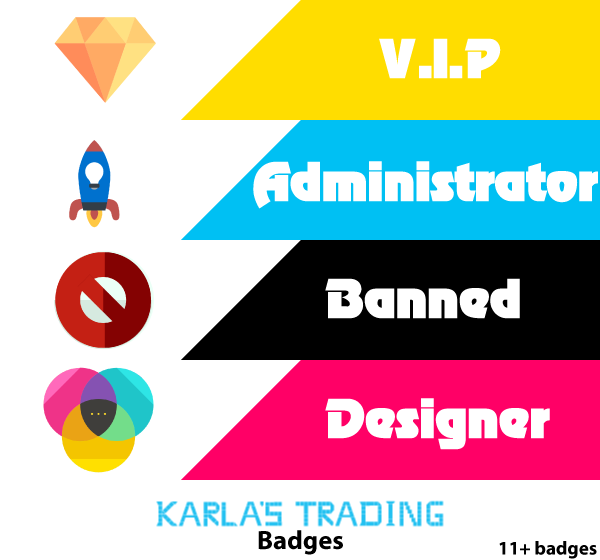 MK's Woody Badges is an Elegantly styled badges for any forum. It derives its name as it is given a wood look-alike finish. 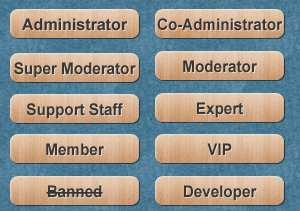 It is suitable for any forum and with the PSD INCLUDED, you can edit it to make any further badges to match the groups on your forums. You are free to use it and edit it as you like. But redistributing it for commercial purposes is strongly prohibited. MyBB 1.8 plugin that allow to setup a badge for selected groups in postbit. 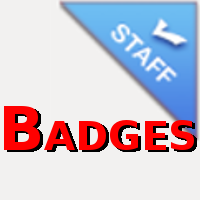 A simple user badges plugin that grants badges for filled in profile fields.